When you first moved in, each piece of artwork and furniture was thoughtfully arranged with nothing out of place. Nowadays, your home has lost that lovin’ feeling and you want to get it back. This is even truer if you’ve been striving for the picture-perfect room, and not sure what to do next. 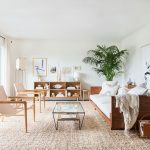 That’s why I’ve narrowed down my list of favorite fixes for a quick home makeover and to keep your home looking and feeling its best. From organizing to updating, these simple tips will instantly improve your home in a meaningful way. You won’t find superficial change here but strategies for real improvement. Your home should be not only captivating but functional, too. 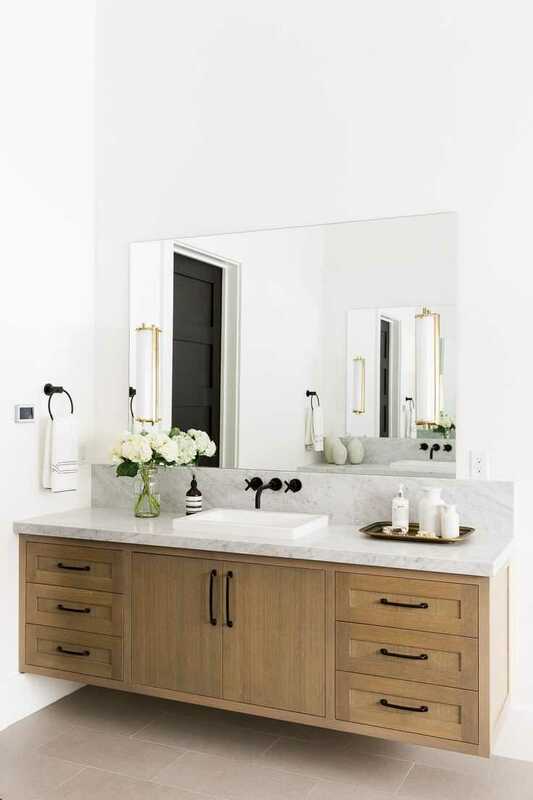 Best of all… if you’re working on a budget, these simple strategies will upgrade your space without a total overhaul. It’s almost too easy. Ready for a home makeover? Pick one of these strategies and get started today. A well-designed home can energize you and get you excited for the day ahead. It’s your sanctuary where you can disconnect from a long day at work and often the place where you’re most inspired. But are you taking advantage of its benefits? This home makeover strategy will get your home in shape in no time. Think about how you want each part of your home to function and what kinds of activities you’ll be doing there. Once you identify these areas, you can then repurpose them into something so much better. For each area ask yourself – Are you using it for it’s designated purpose? Does it even have a defined purpose? Has it become a junk collector? Think about your daily habits to find areas that need improvement. Is your home taking the pleasure out of your daily routine? There’s an easy fix. For instance, part of my getting ready in the morning is drying my hair after the shower. And without fail, every morning, the cord would get stuck on a t-shaped cabinet handle, and it would pull the plug out of the wall. Ugh! But there was an easy solution, to replace the cabinet hardware with a round one. It could also be a more significant problem. For example, my sister has a small bathroom where the bathroom door opens in, but the closet door opens out which is directly behind it. When both doors are open… chaos! The simple solution was to replace the closet door with a smaller folding door instead. Do you have a small apartment, but don’t use your dining room? Transform it into something that you need like a home office. Or do you have a guest bedroom that is only used a few days a year? Turn it into a dream room instead. Use your hobbies as your inspiration and create a craft room, photography room or home gym. Do you love reading? Make a reading nook in an unused corner of your home. Brainstorm your habits, hobbies, and routines for areas of improvement. One of the easiest ways to make an interior look expensive is with less clutter or editing. Editing leads to an organized, stress-free, and more attractive home. There’s nothing better than walking into your home after a long day, and everything is in its place so that you can relax and decompress. 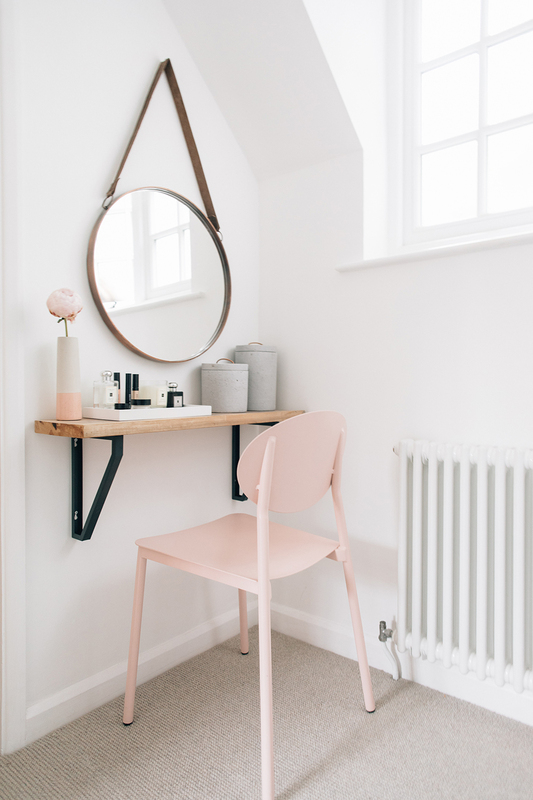 If you’ve been in one place for more than a year or two, it’s time for a more impactful semiannual cleanse to remove what no longer works in your home. To declutter, get rid of anything you don’t like, don’t use, or don’t need that is taking up valuable real estate in your home. Begin by discarding anything outdated, worn or damaged. Then, find the opportunities with the smallest amount of work that makes the most significant impact. These are areas that you use on a daily basis. For example, free up space on your kitchen counter by storing equipment that you don’t use every day. Donate the fondue set that you got for your wedding that you’ve never used. You know the one. Get rid of old storage containers or duplicate utensils. Return other people’s dishes to them. That said, you don’t need to tackle your whole home at once but instead, make a plan to do one area at a time. To uncover your home’s hidden potential, use these simple strategies. Take the 12-12-12 Challenge by locating 12 items to throw away, 12 items to donate, and 12 items to store. You don’t have to limit this to the number 12, have fun and use any number you want. One bag challenge. Fill one bag with trash or donations. If you’re having a hard time deciding, add a timer and stick to it. Do a 30-day challenge. Make a list of spaces to declutter and commit to 5-minutes a day. Follow the one in, one out rule. For every item that comes into your home, remove something else. But, it doesn’t have to be the same item. Identify one area that you use every day that you could declutter to make tomorrow better. Commit to one of the strategies above. 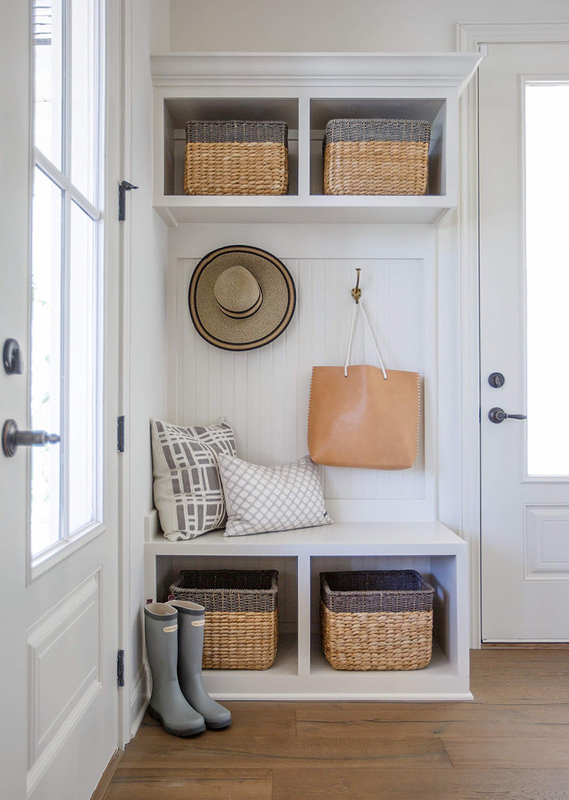 Maybe you’ve heard the saying, an organized home is a happy home. That’s because it’s true. 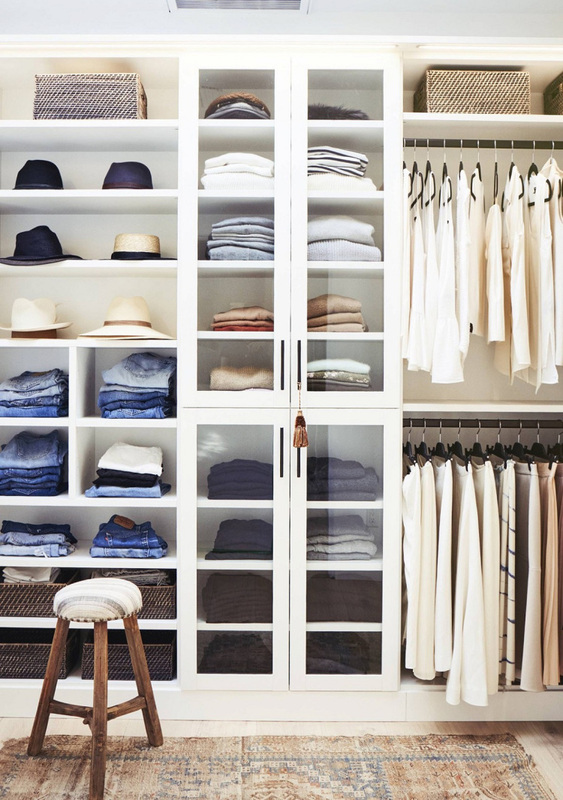 To create a stress-free home, create a smart organizing system that is easy to use to keep your home looking good. Now that you’ve edited your space look for areas that need improving. For example, do you have to move stuff to get to something or return an item? Are there areas that are always messy? Make things that you use the most, the easiest to reach. For instance, store items that you use daily within reach and as near as possible to the area where you use it. If it’s in a cabinet, move it towards the front and store it at eye level. Move items that you don’t use as often toward the back. The simpler the storage and the less time involved to maintain it, the better! Create a smart organizing system. Once you’ve edited and organized, it’s time to get into the fun stuff. To maximize your home’s potential, the next step is to optimize the functionality and purpose of your home by enhancing your daily habits. This goes hand in hand with your identified opportunities. What is one thing you can add to your home that will improve your daily routine? For example, rather than spending 20 minutes looking for your wallet, keys, etc. create a landing space for when you get home. That way you’ll know where everything is when you get ready to leave. Another idea is to add a towel hook next to your shower, so you’re not reaching across the room for the towel. Why not invest in a new shower head or plush bath mat for a bit of added luxury. You can also add a plug all charger on your nightstand to improve your bedtime routine. Or add an outlet above the countertop where you use it. Invest in one thing that will make your routine better. So where do you begin? The most crucial component when deciding on a furniture layout is functionality. Start with identifying what your needs are and how you want to use the room. For example, do you love to entertain? Then create a seating area that invites conversation by pulling the furniture off the walls and towards one another. Or do you prefer to binge watch Netflix? Arrange your layout so you can see the TV in your favorite seated position. Next, find your focal point. This could be existing elements such as a fireplace or window or create your own by moving your favorite item to a place of prominence such as a large painting. If you have a great view, let the placement of your window dictate your layout. If you want to use a room for reading, make the bookshelf your focal point. Move your favorite item to a prominent place in the room. Make sure that you leave enough space to walk around, and open doors and cabinets. For a mini home makeover, change your lighting. 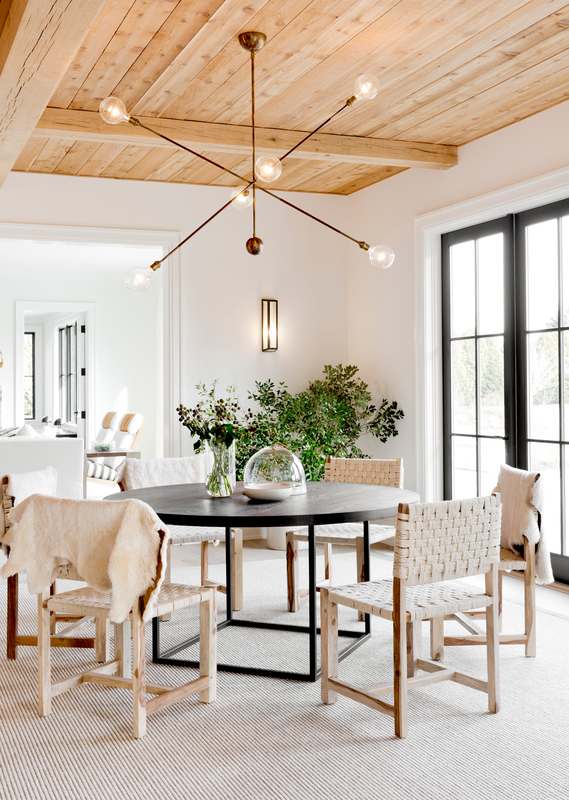 From new fixtures to light bulbs, these strategies will transform your space. In the bedroom, use wall sconces to free up your bedside table. Use floor lamps to upgrade the look of your living room or to enhance your reading nook. 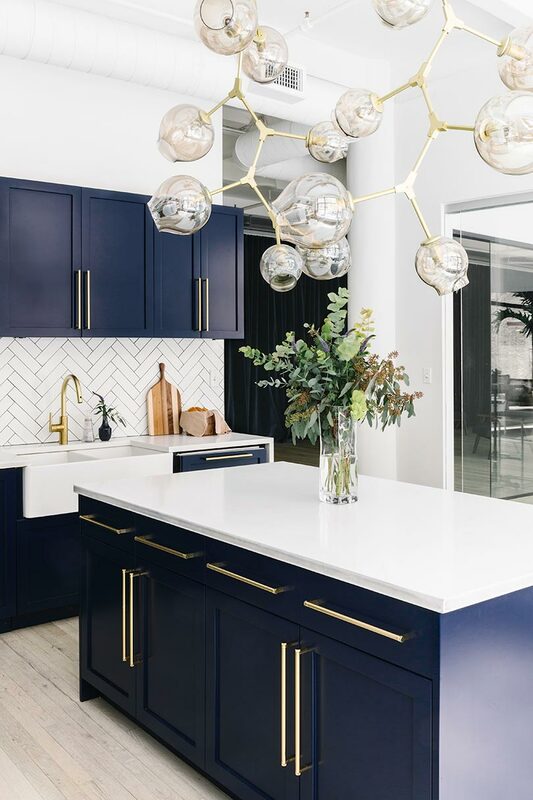 To update your kitchen, bathroom or entry, replace your surface mounted lighting with a statement pendant light. 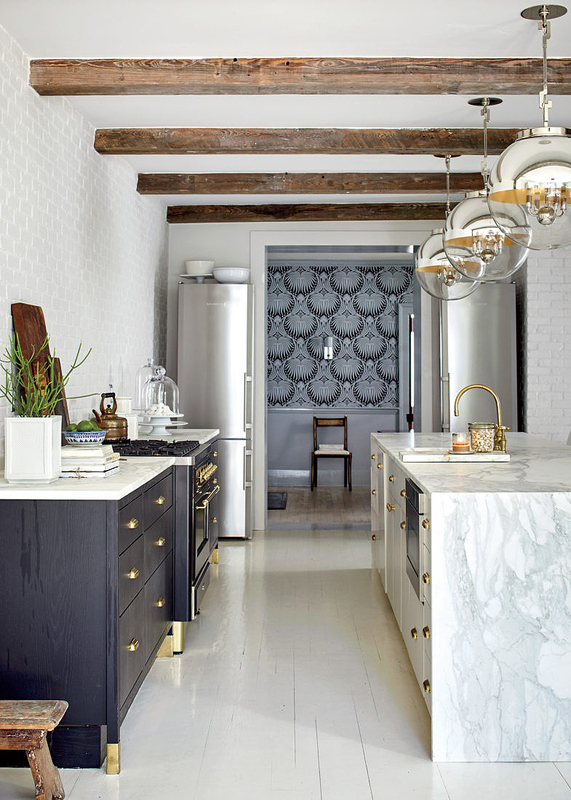 Don’t fall into the trap of a fixture that is too small, when choosing a pendant; bigger is better. Another impactful tip is to put as much of your lighting on dimmers as possible to change the mood of your room on a whim. Are there areas that are too dark and gloomy? You might want to change out your existing lampshade for one the has better performance. For more flattering lighting, add fixtures at eye level and disperse your light sources around the room in a triangular shape. Don’t forget to change out your light bulbs to a more flattering color temperature. Look for 3000K LED bulbs that not only use less energy but are a lovely balance between warm and cool. Move lighting for better disbursement and interest. Replace your light bulbs and shades to improve the luminosity. There’s a saying in decorating, “the details make the design,” which means the details are the difference between unremarkable or extraordinary. Small details make a big difference but the good news is, once fixed they can update your home and make it feel new again. Don’t let something that can be easily repaired age your décor; instead, address these quickly. Take all those small home repairs items off your list by repair chipped paint, nail holes, broken fixtures, and malfunctioning hardware this weekend. Repair a home improvement item. Download my decorator’s playbook where you get the EXACT strategies that I use to decorate from beginning to end. Get your free copy of the complete guide to decorating and take your home to the next level, guaranteed! For a speedy, low-cost home makeover, you can’t beat a bit of paint. Painting is the simplest and most impactful way to update your home, and this doesn’t mean you have to change the color. A simple new coat of paint will give your home a new life when you get rid of scuff marks, scratches, and discoloration. Looking for a more dramatic change? It’s amazing what a new color can do. This could be a full room, accent wall or ceiling. Paint the baseboard the same color of your wall to add height. Or make a statement by adding color to your ceiling. When painting accent walls, stop at the inside corner for a smooth transition. Select a new paint color and repaint. The cheapest decorating trick is to go shopping in your own home. Take a walk around your house and think about how you might be able to repurpose furniture or objects differently. Instead of saying goodbye to your beloved outdated furniture. Get creative and transform it with a new paint color or new upholstery. New hardware is a perfect way to update an old piece of furniture. Another simple upgrade is to add new legs to a table to change the height or cut a piece of marble to size for a new top. Look around your home and see what can be used in a new way. Another quick home makeover strategy is to upgrade your artwork. Art makes a powerful statement and is one of the easiest ways transform a room while infusing personality, style, and emotion into your home. A gallery wall can turn a dull hallway or sitting area. Use your personality to fill a blank wall or update an existing gallery by rearranging or replacing your art to create a new look. Mass produced art found at big brand stores can cheapen a room. Whether you like poster, prints or paintings, tons of great websites sell original artwork for the same price tag or create your own. You can also find free art prints on my website including the print above to fit your style. Don’t forget to make them high-quality prints. 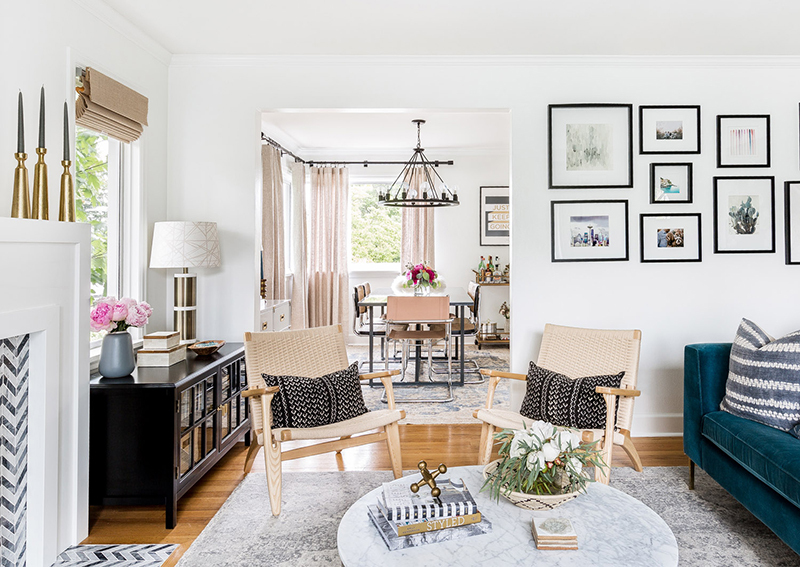 The #1 mistake that most people make in their home is their art placement, but it’s an easy fix when you follow a few simple rules. Get the proportion right by following this guideline, your art (single or grouped) should take up about 60% of the wall it’s hung on. When you’re installing art over furniture, the rule of thumb is 70% the width of the furniture. Art is meant to be viewed. 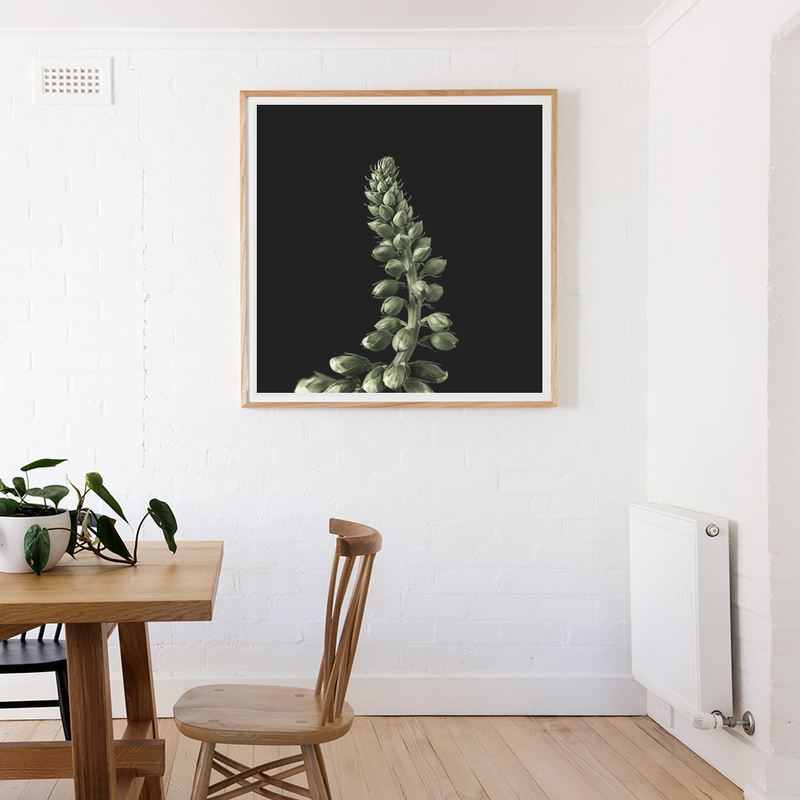 If you’re hanging art on a wall (without furniture), place the center of the artwork at roughly eye level, 60″ (152 cm) with the hook positioned higher, of course. Otherwise, it will feel like it’s missing furniture underneath. If you’re hanging art over furniture, hang it close to it, so they relate to each other. The bottom of your art should be 6-12″ (15-30cm) above the top of the furniture. Identify one area that you can update with art. Now that you’ve gotten the design staples out of the way let’s focus on the finishing touches. These are small adjustments that can make a big difference. You could still be missing the finishing touches that make or break a room. Begin by getting rid of accessories that don’t fit your mood or season. Then, change out the objects, pillows or throws to liven up your space and create a brand new look. Don’t forget the bathroom, by changing out your towels and bathmats in a new colorway. To ensure cohesiveness, choose complementary colors and be mindful of the dialogue between patterns. Lastly, style your accessories by creating small vignettes (or mini-stories). Create a vignette at your coffee table, restyle your bookshelf or change out your textiles with the new color or pattern. Get inspired by Pinterest and try replicating the vignettes you love the most. Plants and flowers liven up a room. Mixing greenery with your existing furniture can give your house a brand new look and feel. 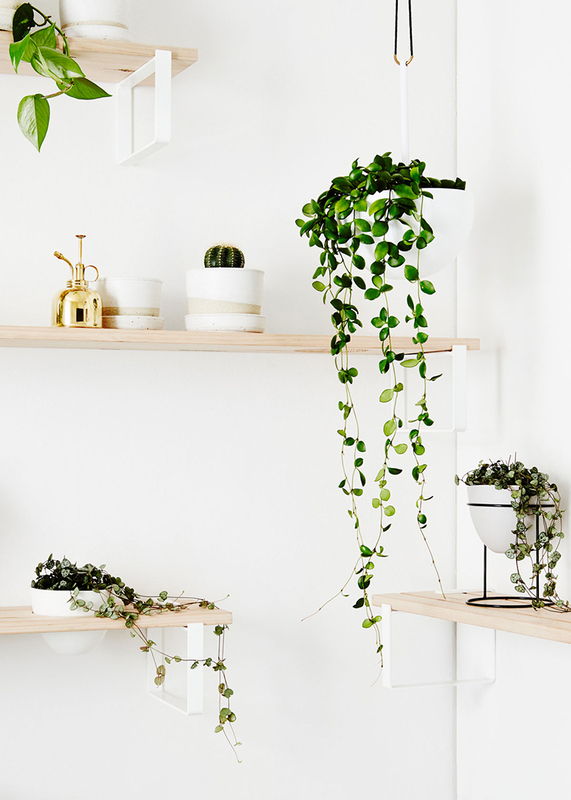 If you want an instant dose of life into your room, bring the outdoors in by grouping plants together, hanging them or opting for a minimal plant stand for added elegance. Plants are also the perfect solution to empty corners and awkward spaces in need of refreshing, sculptural elements. If you’re not sure which plants to try, lush climbing plants are showing up everywhere. Best news: they’re impossible to kill. Some of my other favorites are cacti, philodendron plants, money plants, rubber plants. Pick foliage from your yard or add a new plant to an area that needs a pick me up. Looking for inspiration, check out Ivy Muse. Whew! That was a big list… thanks for sticking around. To get the checklist, pin the image below. After you’ve read this post, tell me: What is your favorite home makeover strategy? Are there ideas that belong on this list? Share it in the comments below. Your insight and ideas may help someone update their home this weekend. 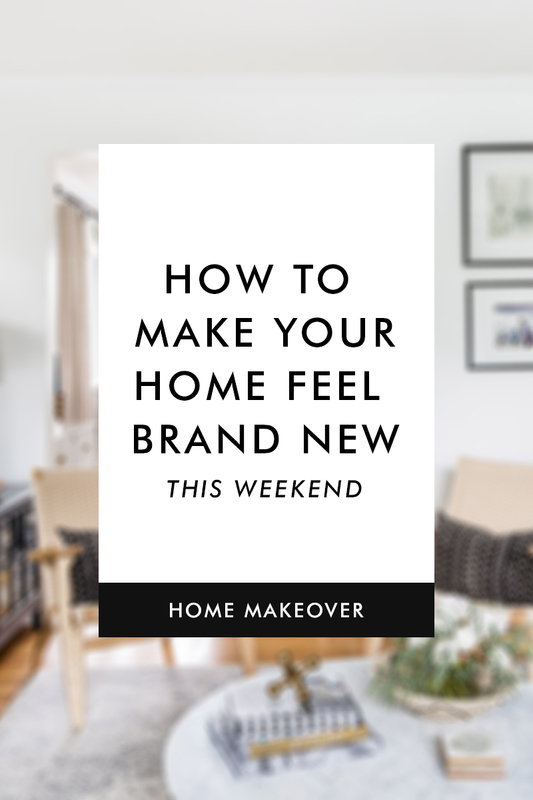 If you have friends, family or colleagues who want to give their home a quick makeover share this post with the links below. Looking for more decorating tips? How To Decorate A Home You Love, Guaranteed!